Perform each exercise in this circuit one after another with no rest in between. 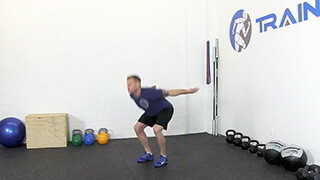 Do this entire circuit 5 times. Running on the spot is a lower body conditioning exercise suitable for all fitness levels. The vertical jump is a lower body exercise that helps to develop explosive power, balance and agility.